The Nike Pro HyperCool Men's Short-Sleeve Top is made with cooling mesh fabric for breathable comfort during your workout. 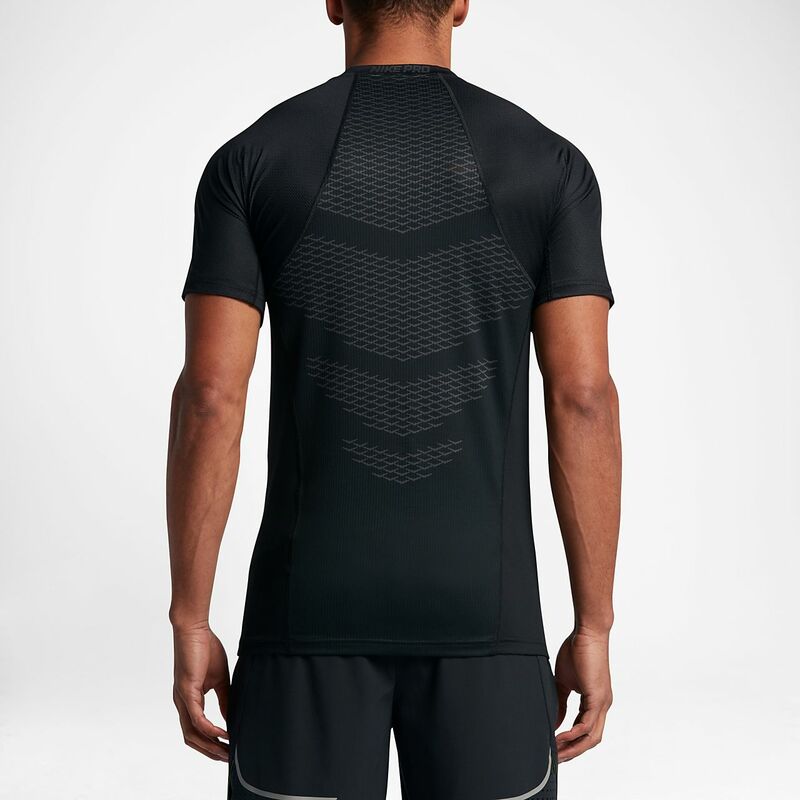 The Nike Pro HyperCool Men&apos;s Short-Sleeve Top is made with cooling mesh fabric for breathable comfort during your workout. Fabric: Body: 86% polyester/14% elastane. Back panel/underarm panels: 88% polyester/12% elastane. Well Fitting, breathability second to none. This shirt fits me perfectly, Im 6ft 2in and around 80kg... The Medium shirt is great for my size. I have moved the slider towards tight but this is the aim with a base layer so its not a negative in my opinion. I personally didnt feel the stitching another reviewer pointed out at the back and the length is very good so it can ride up a little during running but doesnt go above my short waistline. Cant comment on durability as Ive only worn it twice. I used to wear dri-fit and this is a much better top for wicking sweat off too.